Posted in Blogosphäre | Tuesday, November 16th, 2010 | Enter your password to view comments. Posted in Blogosphäre | Monday, November 15th, 2010 | Enter your password to view comments. Protected: Will Guttenberg Blut für Öl? Posted in Blogosphäre | Saturday, November 13th, 2010 | Enter your password to view comments. 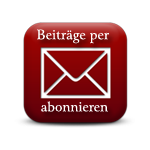 Protected: Blogger: Bettler oder Betriebswirte? Posted in Blogosphäre | Thursday, November 11th, 2010 | Enter your password to view comments. Posted in Blogosphäre | Wednesday, November 10th, 2010 | Enter your password to view comments.